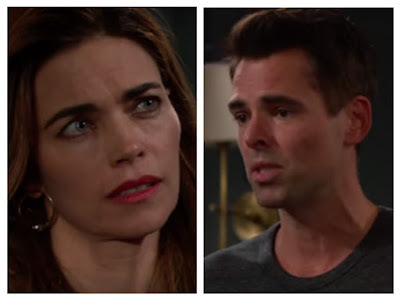 Tomorrow on the June 1, 2016 episode of The Young and the Restless, Billy (Jason Thompson) tells Victoria (Amelia Heinle) he is going to tell her who he is sleeping with, and he wants her to do the same. Will she tell him about hunky Travis (Michael Roark)? Meanwhile, Summer (Hunter King) challenges Luca (Miles Gaston Villanueva), and Lily (Christel Khalil) clashes with Neil (Kristoff St. John).